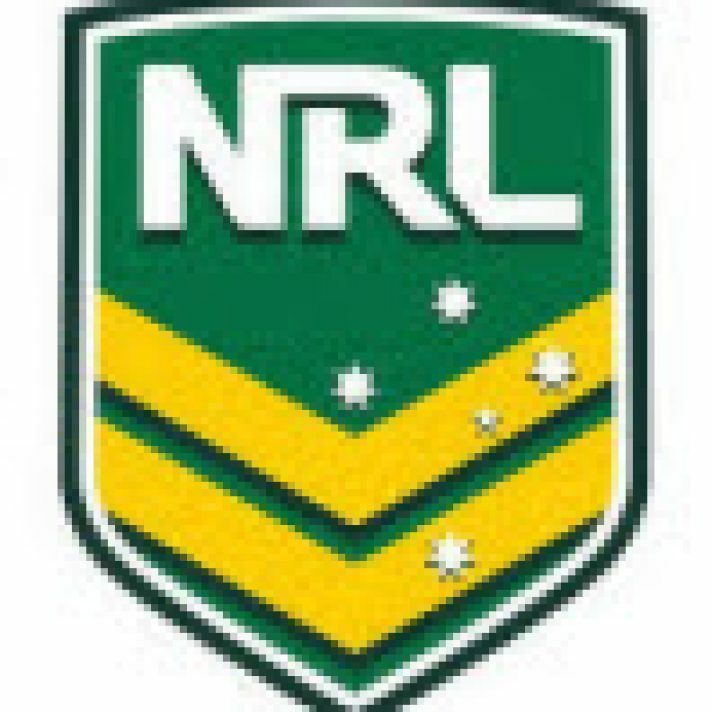 MrG’s recommended weekly betting plays for the 2013 NRL Season commence from Round 4 onwards, and are listed below under “Bet List”. Each NRL Weekly Preview thread will open each Wednesday morning and list any early betting plays. It will be updated each day and then detailed game by game Previews, Ratings and final Bet List will be published online by 8am on the morning of the first game of the round. Staking: All betting and results will be based on 1 unit bets on all recommended bets, unless otherwise stated. Note this is a home Eagles game being played at Gosford, interestingly both clubs have good records here, but the Eagles a very strong 8 wins from last 10. The Eagles took a long time to get into their game vs the Titans last week, a day game in the coastal Qld heat appearing a hindrance, but I did like the fact that when it got serious (against the clock) they could put their foot down with points and near jag a result. I have a long term knock on the Eagles for two reasons, a) questionable support depth behind the quality that they clearly have – wear and tear may well catch up to them at some stage and I am not convinced that there is all that much behind their top list; and b)possible ASADA intervention and loss of key star players – the mail on this has been around for 5 or 6 weeks that at least 2 or 3 key Eagles players may well have some serious explaining to do. Time will tell. My info is things may well go bang sooner than later and if they were to lose a couple of key players and the wear and tear of a tough season takes its toll…… But all of that is the longer term view. Right now based on their form and attitude to date the Eagles have to be rated in the top 3 so let’s not stare a gift horse in the mouth. I just can’t warm to the Tigers at all right now. Galloway is a long term major out and they are so loose through the middle (and generally) in defence. Already after just 3 games they lead the missed tackle stats yet come through their last two games against two sides that are likely to be bottom 4 by August? The Eagles have the size and physical play to punish them through the middle, dominate the yardage and field position games and mount points, I can’t see any of the right answers in the Tigers based on what we have seen to date. After just 3 games the Tigers are already conceding the best part of 20 points against a week (the Eagles 10). Pretty keen on the Eagles. Last Word: Eagles should have the grunt through the middle to dominate, I expect that they will. Betting Interest: I have this marked with a clear margin to the Eagles (-10), if they are serious I think they’ll win by a margin. Looks one of the two better bets of the round. Be aware that both sides play out of Homebush as their home ground and importantly both sides have excellent records here. It is also of note that the Bulldogs have held a healthy H2H advantage through recent years, winning 6 of the last 7. Major key ins for the Bulldogs with Barba and Pritchard returning. While they may be short of a gallop they’ll strengthen the confidence of everyone around them and both have the quality to make an impact straight up. The Bulldogs lifted for the GF rematch in Melbourne last week. They keep making small steps of improvement and at 1/3 and off a loss I think they’ll again aim up and give this a real shake. I also think their ball shift attack to their edges, especially with the return of Barba will trouble the Rabbits but they are still missing the impact of their two big front rowers who remain out. Through the last two weeks the Sharks and Panthers have looked to move the Rabbits around with a lot of deliberate side to side attack and ball movement, obviously looking to run about and tire their bigger men and open up their defence – and with success. The Sharks looked like they could well have done more than they did (line breaks and scoreboard) while the Panthers gave them a fright and clocked up 32 points. The fact that 6 tries were conceded is a major concern for a potential top of the table team. I’m tipping the Bulldogs here off the back of their record in these big matches when it mattered, last year winning 8/13 against top 8 sides and a GF appearance, whereas the Rabbits although in winning form could only win 6/13 against the best sides in the comp (and come off two finals defeats). Looks a great contest, I lean slightly to the Bulldogs but we’ll learn a lot more from the contest. Last Word: Bulldogs have consistently come up and or won the big games through the last 12 months. The Rabbits are yet to convince us that they can. Great contest, slight lean to Bulldogs given their record. Betting Interest: Close game, no betting play for mine. I’ve mentioned my concerns about the Broncos through the last few weeks, they have no commanding authority or size up front (such that Thaiday has now been asked to play Petro’s past role as opposed to his right edge game). They have a “sameness” across their forward list and have been dominated at the advantage line – at times with ease. Worst still off the back of the ordinary performances up front their halves are struggling (yet feeling the full brunt of everyone’s focus). Yes short on creativity but also well short on room and options off which to play – they’ve now conceded the same amount of points through the first 3 rounds as the amount of points they have scored, unheard of for a Broncos side. The real questions that should be being asked is who has been managing the player list decisions and recruitment through the last two years? I thought the Roosters should have won by a wider margin last week but that aside I thought their big men gave the Broncos a real physical working over and I’m sure that that will take some toll into this week. If Hodges returns he is a key in, by far their best player in the opening rounds. One wonders where Norman’s head might be having now signed a big money deal elsewhere (Eels). A further issue of note against the Broncos that has also received little mention is that their defence might well not be as tight as it looks, missing 30 odd tackles each week and lucky that their last two opponents struggling attack had not capatalised further. After a torrid few weeks of travel the Storm will welcome the 8 day turn around here, and off the back of playing at home last week would have had a far more settled and coordinated prep into this which I’m sure will see their attack combinations far sharper and coordinated than that of last week (when looking leg weary). The Broncos are back at home and have some heat on their tail, but that can only take you so far – especially against the bench mark. I like the Storm to be winning. I’d not be surprised to see them clear the line but rather than play with a 10 point line I think the right play is the half time / full time double. Last Word: Broncos under the pump and off a physical working over last week. Storm get an 8 day turn around and freshen up, they should be winning. Betting Interest: No need to get too clever with a 10 point line, I like the Storm with the half time / full time bet play. Sharks have back to back home games here, the Dragons the opposite with another away game off the back of their loss in Canberra. This local derby always brings out the best in both sides, regardless of how they are travelling and it’s worth noting that the Dragons have won 6 of the last 10 H2H clashes, although they have struggled at the ground. I’m still cautious of making too much either way of the Sharks form at present, clearly they have a lot going on behind the scenes and they have then been sharpened in the days prior to their last two home wins, the clearing of Coach Flanagan the latest last Friday. They got the job done as expected last week, Carney and Gordon playing very well but it’s a weak form line given the Warriors terrible offerings through recent weeks and shocking away record. This will be somewhat different and aside from winning their key stats are actually no different to their opponent. The Dragons need to do much more with their creative attack options. Their yardage and kicking game (and for the most part their defence) is actually working ok but it’s their inability to create play and or open the line that remains so pedestrian. The key for the Sharks here is how they play the Dragons, and that they don’t get dragged into an arm wrestle and grind. I expect the Sharks to win but I’m happy just to be watching, I have the line marked as about right and so a tricky play, I also have a nagging doubt about the possibility of the Dragons improving on the back of desperation and the derby motivation. Last Word: Tipping the Sharks but this might be closer than it looks. Betting Interest: Best left alone. Panthers remain at home off the back of scoring 32 points against the Rabbits and have named Ciraldo as an inclusion. The Titans come off two home wins but have doubt over Harrison and Takairangi. We have some tricky form lines still und folding here on both sides of this contest, the Panthers are already conceding an average of 28 points each week (offering the worst defensive stats across the competition) and come off a game where 76 points were scored but they did show some smarts in moving the ball and their opponent around. The Titans come off two home day games each played in very hot conditions which back to back will have had some impact and again face an afternoon game. The big plus for the Titans has been their defence with scores of just 12, 0 and 14 against them, in particular their last 30 meter scramble efforts have been very good. I have this game marked as close. The Panthers remain at home and hold a slight winning H2H margin over their opponent. The Titans are poor on the road, have lost 6 of their last 10 interstate away games and 2 of their 3 games at Penrith. I’m tipping the Titans on the back of winning form and their recent defensive offerings but this is not straight forward and if the Panthers can turn this into an afternoon game of up tempo game of ball movement nothing would surprise. Last Word: Looks a game of lots of ifs and buts, if the Titans can retain their recent defensive composure they can win. Betting Interest: The markets share the opinion of a potentially close game with only a small line on offer, if you wanted to play here I’d look to wind a line out to the home sides advantage or take the +12.5 start. I’m staying out. Impressive effort from the Knights (off a poor away loss, key outs) back at home last Monday night . This gives them a nice base off which to work into this, especially with the possible availability here of Gidley, Mason and Tahu with Buderus gaining some match fitness . At this stage I’m putting the poor Brookvale offering aside as a crook away offering at a ground where they have a terrible record and working through the two home results where they have scored soft wins, 42 and 34 points and concede little (10 and 6) and have the advantage this week of back to back home preps. The Knights are rebuilding their home ground advantage (winning 4 of their last 6 on the back of which their home support will continue to grow) and they hold a handy H2H advantage. They’ve a preparedness to work their opponents around and shift the ball and have some key attacking strengths in Uate and Boyd. The Raiders crawled their way to a home victory over the Dragons (whom they seem to own) but are again on the road off the back of two very poor previous road offerings (Penrith, Gold Coast) and may well be a little more comfortable with themselves off the back of their first win. They have lost 8 of their last 10 games at the ground and have been poor on the road (4/10). Defensively they remain a major risk especially on either edge which is where the Knights will look to play them. I think the Knights are well suited here. I have them marked with a two try advantage and a line of approx -10. I like them at home and especially off a back to back home preparation. Last Word: Numerous ticks for the Knights at home. Numerous questions if not hurdles for the Raiders on the road. Betting Interest: Happy to play the Knights here at the line. I’d caution that this might not look as straight forward as first glance and that the Cowboys have some work to do to be winning here. I have little time for the Warriors at present but they do now have the advantage of their first game at home and the likely return of Friend at 9 (experience, work rate and direction). It’s an away leg that the Cowboys have traditionally really struggled with (only winning 3 of their last 10) and will face up here having clocked up a lot of travel and little preparation with back to back away legs (Newcastle then Auckland). Also, as bad as the Warriors are travelling right now little separates the defensive stats of both sides with them each now conceding near 28 points a game after the first 3 rounds, the Cowboys conceding 66 across their last two weeks. I’m not sure if the Cowboys have been reading their own press and got too far ahead of themselves through recent weeks but right now they have a similar look to the Tigers of last year, on paper one of the likely contenders who then flopped through the opening months while we all kept waiting (and expecting) a form turn around. I’m sure Coach Henry has put a decent rocket up them this week but this is not an easy assignment for them. The Warriors have looked a basket case. One really wonders what they have been doing through the last few months. Their defensive attitude and commitment is poor. They are not interested in the key small plays that can make a huge different to the momentum of a game. Johnson is clearly playing injured and I’m not sure that Leuluai is 6 at this level. I don’t like the game, both sides are searching for improvement, the Cowboys should be a 20 point better side on what we expect but until they stamp some consistent play again they carry significant risk. Last Word: As we know, the Cowboys have the makings of a top 4 contender, they need to get their heads right and aim up here. Betting Interest: I think the 8 point line is tricky, I want to see the Cowboys put up before playing with them again. Another interesting contest. The opening rounds each season will throw up numerous highs and lows as teams find form, combinations and manage the change of new coaches, key players and or tactics – and or a rebound from a poor start or major loss (like the Raiders and Knights). 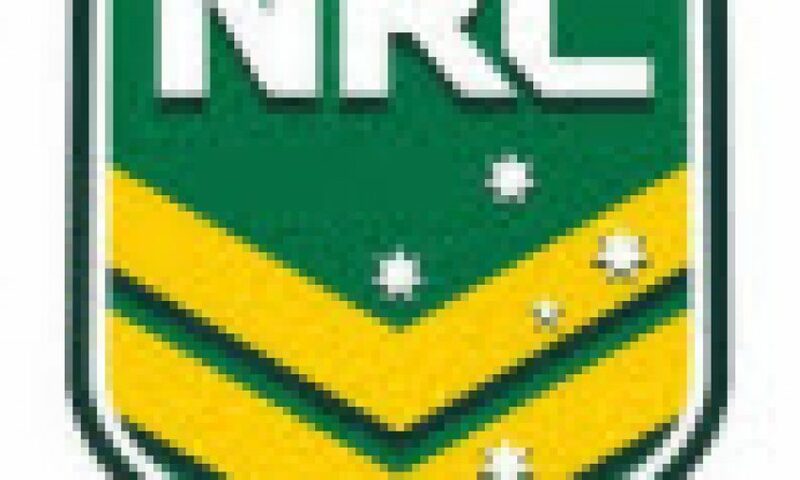 The Roosters and Eels are another two on a new path this season with new coaches, the Roosters off a poor first up effort have then won two games and made improvement each week. The Eels started well with a home win and close loss to the Bulldogs then capitulated last week to the Tigers. So we have some team form and general form lines still sorting itself out. The Roosters have struggled to score points but have defended well (averages attack 12 defence 14), the Eels a mixed result (attack 25 defence 21) yet the markets see a clear advantage to the Roosters and a potential 8 to 10 point margin. Maloney and SBW have provided some class and balance to what the Roosters are now doing, they are also playing with a big middle (Waera-Hargreaves, Moa and Nuuausala) but their basic error and ill discipline is still a major issue and penalising much of their progress. I though the Eels were very luck to finish with only 30 points against them last week. They were there to be thrashed such was their basic error and poor attitude, but they have the advantage here of an 11 day turn around and an extended period for Stuart to freshen them up and attempt to get them back on track. They remain on the road for the third week in a row (and carry a shocking away record) but are lucky to some degree that all three games have been Sydney based road legs. I’ve been with the Roosters through their last two wins, and expect them to win here but I’d not be comfortable playing with a wide line with a side that is still struggling to score points and get their discipline right – let alone have been able to post 8 to 10 plus points winning margins (which they are yet to do). Last Word: At home the Roosters look slowly on the improve and can win here. I do expect the Eels to be better than last week. Betting Interest: Happy to leave alone, let’s see the Roosters clock up some points and margin before playing with an 8 point line. Published on March 26, 2013 in NRL. Published on 18th June 2015.